Everybody has their own idiosyncratic set of criteria when it comes to buying a car. I have a weird space-utilization fetish, for example. If you’re someone who’s really into width, specifically tire width, your next car purchase is already decided. 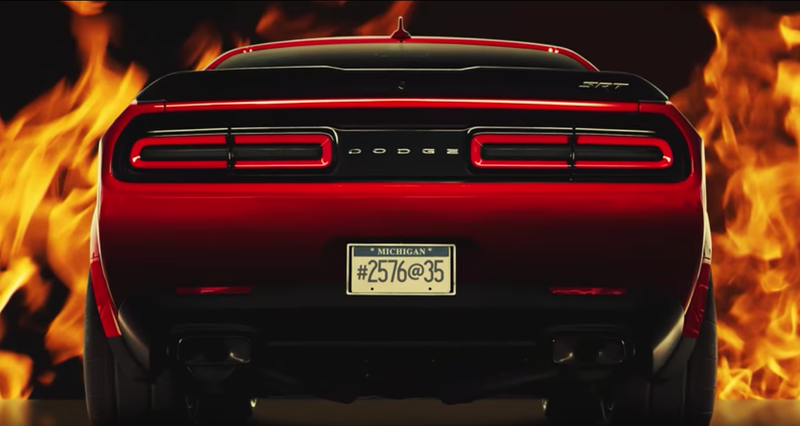 That’s because the upcoming Dodge Challenger SRT Demon will have 315/40R18 tires rear and front, the widest rubber toruses ever stuck on a production car. Oh, the Demon is capable of doing a burnout? I never would have guessed. Seriously, this thing is basically a machine engineered to do burnouts that you can occasionally also use to pick up groceries, if you want. According to GM Authority, the old record holder for widest front tires was the 2013 Chevy Camaro Z/28, which had massive 305/30ZR-19 at all corners. The Demon adds 10mm of width to that, giving just over a full-size Subway footlong’s worth of tire width, all around. The NT05R™ is a D.O.T.-compliant competition drag radial designed for serious drag racing enthusiasts. The tire’s specialized race compound and large contact patch were engineered to provide maximum traction and promote even pressure distribution across the tread. The enhanced sidewall construction provides longitudinal launch traction while maintaining stability throughout the pass. You’ll get off the line quickly and down the track with speed and consistency. This car will likely be the first to be sold on competition drag racing tires. The demon in question is suspected to be an incarnation of Dzoavits, a Native American demon associated with volcanoes and cannibalism. Since it’s a rear-drive car, the front tires really don’t need to be as wide as they are, but I suppose Dodge is thinking that they can just act as spares for when you smoke your rears out of existence doing burnouts because you’ve lost all control.